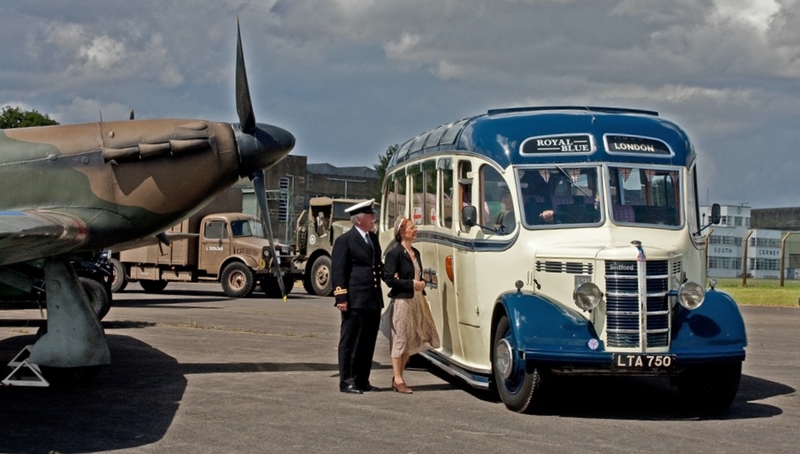 The Stroud Vintage Transport & Engine Club (SVTEC) will stage its annual show at South Cerney airfield in Cirencester, Gloucestershire on 2-4 August 2019. The show now in its 45th year is widely regarded as one of the biggest and best Steam, Vintage and Countryside events in the UK. Set on an ex wartime airfield, the sprawling show site covers around 200 acres. It will feature a 75th anniversary tribute to Glenn Miller, who actually landed at RAF South Cerney airfield and played to 7,000 troops shortly before disappearing over the Channel. The varied Military section will feature military modellers, vehicles and military charities. The 100-strong display includes rare ex-RAF Scammell range of tank transporters and recovery vehicles, two BSA folding WWII Paratroopers bicycles, a 1943 AEC Matador 10-ton gun tractor and Militant gun tractors, a Russian UAZ-469 off-road military light utility vehicle manufactured by UAZ, a 1942 Swiss-made Saurer 6M signal van, Matador 10-ton gun tractor, an American 1942 FWD, a 1944 GMC 2.5 ton 6 x 6 Airborne Tipper, a Morris Commercial C8 FAT (Field Artillery Tractor) used by the British and Commonwealth during World War II plus a Y Station Interceptor display of radio and military telecommunications through the eras. The showground site is sprawling, but there’s plenty of food and drink pit stops. A firm favourite is the vintage tea room with the 1940s Radio.com broadcasting a great selection of tunes, Lindy Hop dancers plus regular sets by the Steamed Up Brass. There’s also a large trade stand zone featuring model tents, two large craft marquees and over 180 trade stands selling a vast array of countryside apparel, vintage clothes, tools and memorabilia. The show opens daily, 10am-5pm, with a free vintage bus service operating around the perimeter of the show site, and to and from Cirencester Town Centre and Kemble railway station to the show ground connecting with selected First Great Western Trains including Stroud, Gloucester and Cheltenham. Ticket prices are Friday: Adult £7, junior £4; Saturday or Sunday: Adult: £10, junior £5; Weekender (Fri- Sun): Adult £15, junior: £8; Family Weekender ticket (two adults, two junior) for all three days: £35.